I have a strange quirk. Okay, okay; I have a few strange quirks. 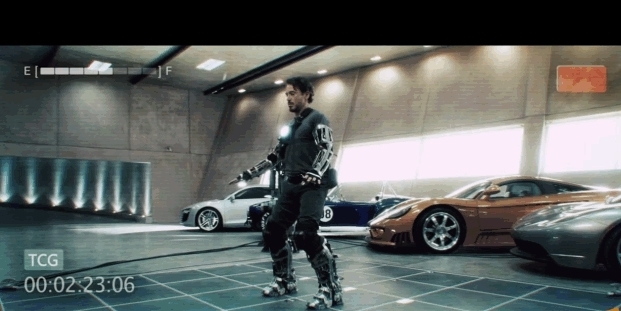 The one I’m currently referring to though is that when I’m in a big open area like a superstore, and I need to walk somewhere quickly, I often find myself subconsciously positioning my palms in the opposite direction like they’re Iron Man’s flight stabilizers. I finally feel comfortable admitting this because I recently discovered a world in which wannabe hand-flyers like me can be who we are and experience the palm-based acceleration of our dreams. 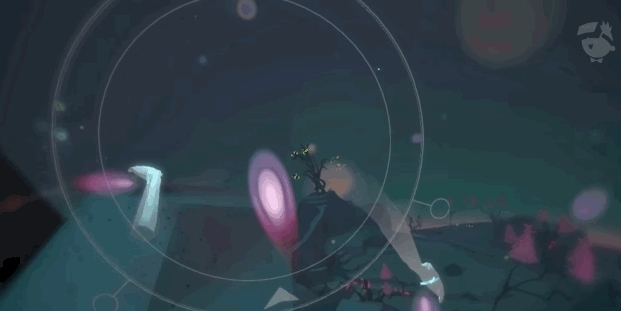 That world is the VR wonderland being developed for the HTC Vive known as Lucid Trips. This out-of-body sensation is achieved through Lucid Trip’s unique locomotion mechanic: hand walking. Lucid Trips uses the Vive’s hand-tracked controllers to bring your arms into the game world. They are represented by two ethereal virtual limbs. As you play Lucid Trips you are constantly sinking towards the ground. With proper timing and force, you can use your hands to launch yourself upward and outward by swinging your hands toward the approaching floor. The direction of your launch is determined by the angle of your palms and you will go higher and farther depending on the timing of your push and how hard you swing the controllers. The alien-looking worlds you’ll encounter feature far lower gravity than normal. But even with the limited opposing forces, it would still be cumbersome to slowly launch and sink your way around the game map. Fortunately for you, Lucid Trips has one more trick up its sleeve and it just might be the most satisfying experience I’ve ever had in VR. Once you are airborne from your push, you can depress the hand controller’s triggers to activate the game’s thrust mechanic. Energetic flames will shoot out of your virtual hands, dramatically increasing your speed and allowing you to soar to the height and direction of your choice. The thrust has a limited amount of energy that you recharge by allowing your glowing hands to touch the ground for a few seconds. My Iron Man dreams were finally coming true. Launch, thrust, soar, sink, recharge, repeat. Lucid Trips quickly brings you into the rhythm of a traversal system that, at first blush, seems very unnatural and strange. Once you get the hang of it, however, it becomes one of the most liberating motion mechanics of any game around. This is because your motion in the game feels 100% natural and self-controlled. Teleportation and “blink” mechanics – being made popular by VR titles like Budget Cuts and The Gallery: Call of The Starseed – don’t provide the same sense of agency that Lucid Trips creates. My supposed goal during the demo was to collect a certain amount of gems from around the map. I thoroughly failed in that mission because I was too busy gleefully soaring around the map and watching the world shrink away beneath my feet. At one point Uthe – who was presiding over my experience – agreed to turn on an override for unlimited thrust. After that I would have been perfectly happy to remain careening through the air in Lucid Trips for hours on end. The game truly does capture that adrenaline-laced excitement you feel during a flying dream. This, in Uthe’s opinion, is precisely the point. The Lucid Trips team is comprised of only four members, according to Uthe. They are based in Hamburg, Germany and are currently hard at work to complete the final release version of their game. The current release plan in Uthe’s mind is to complete and release a demo for Vive users as quickly as possible, and then work to bring the fully realized game within one year of the demos launch. Whenever it releases, Lucid Trips will be well worth the time and attention of anyone who has ever had a dream of flight and wished they would never wake up.